Over 20 years of space proven experience went into creating this new timepiece for the next generation of space travelers. 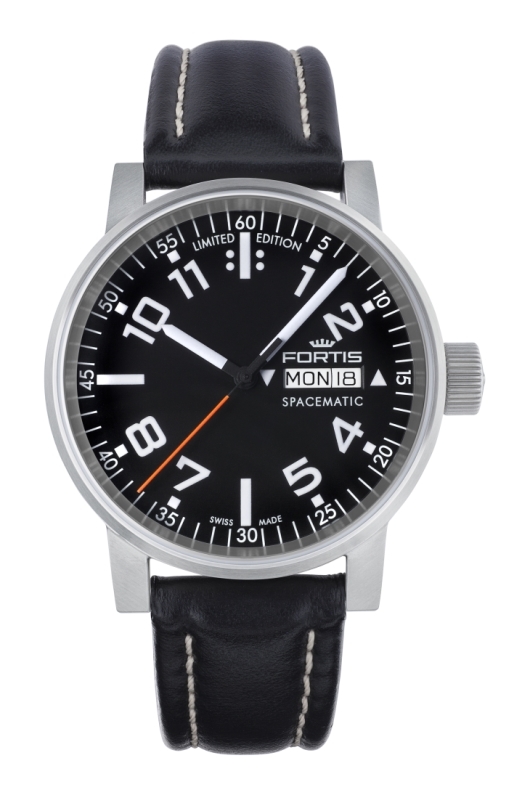 The new Fortis Monolith Collection of space watches is aptly named. 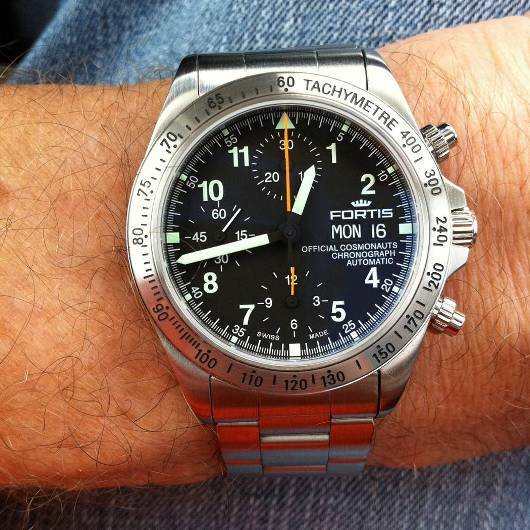 For over 20 years, Fortis has maintained a monolithic presence in space, spending more time on the wrists of working astronauts and cosmonauts than any other brand. 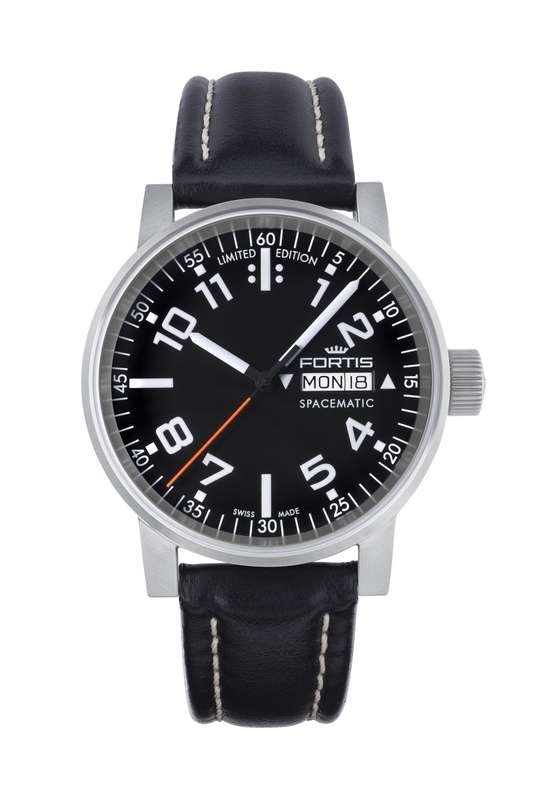 Fortis space proven timepieces have been standard equipment on a wide variety of missions dating back to 1994 when a Fortis Stratoliner was worn aboard the Russian MIR space station. 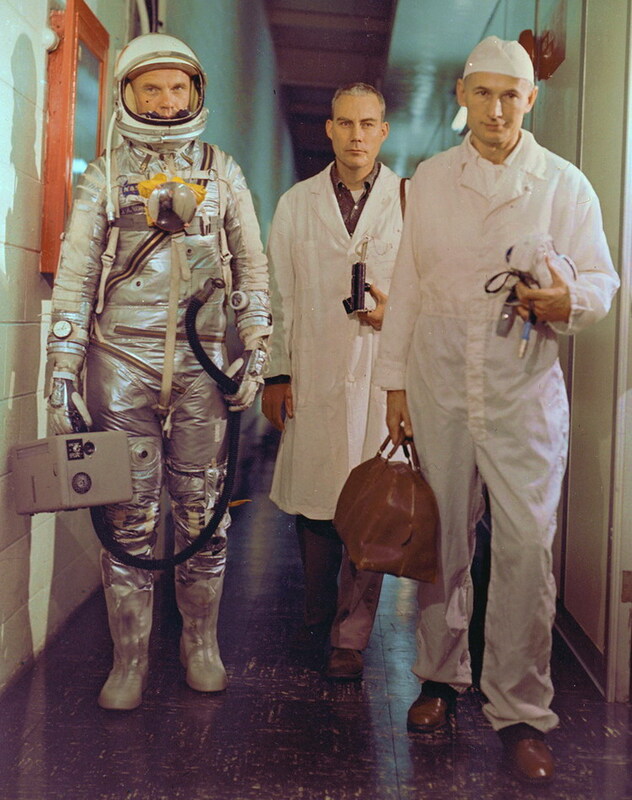 Since that time, Fortis has remained committed to meeting the timing needs of space travelers. To this day, the Russian Federal Space Agency, or ROSCOSMOS as it is commonly called, continues to equip all cosmonauts and astronauts attending the Yuri Gagarin Cosmonaut Training Center with a space rated Fortis timepiece. 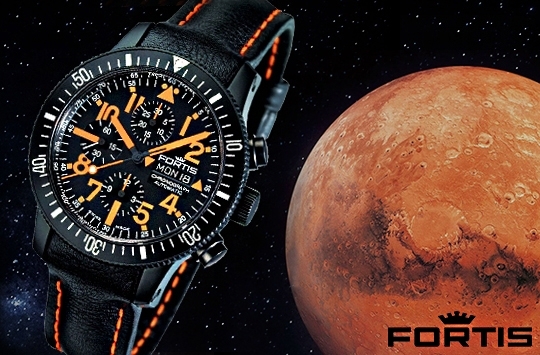 To make sure that future generations of space travelers have a timepiece that meets their needs, Fortis has taken everything it has learned about producing space rated watches during the past 20 years and used it to create the all new Monolith Collection as part of the larger Cosmonautis timepiece collection. Available in both three-hand and chronograph configurations, the impressive 42 mm Monolith has been crafted using time tested principles and high tech space proven materials. With its black PVD finish and bright white lettering, this superb design is exceptionally easy-to-read under the most arduous of conditions. 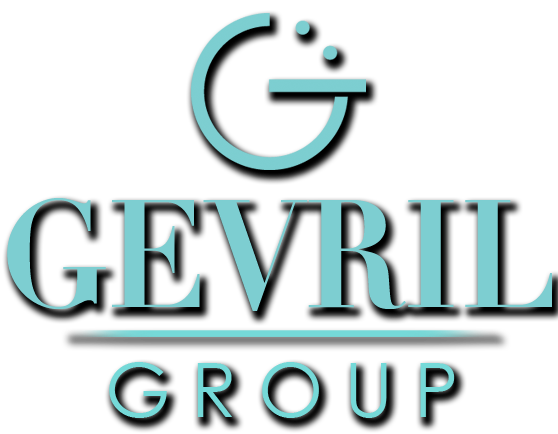 The scratch resistant sapphire crystal has a special anti-reflective coating on both sides so that glare is never a problem. The hands and indices are coated with bright Superluminova material that has a green afterglow, so the watch is as easy to read at night as it is during the day. Everything about this well-engineered timepiece collection is designed to meet the needs of working cosmonauts and astronauts. 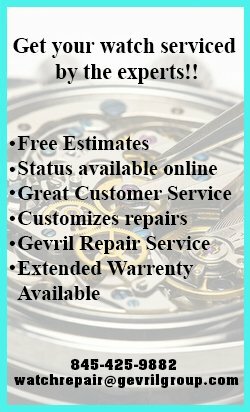 A reliable Swiss made ETA 2836-2 automatic movement powers the three-hand configuration, while a space proven Swiss made ETA 7750 movement powers the chronograph. The massive PVD coated stainless steel case is water resistant to an impressive 669 feet. Both watches bear the official seal of the Russian Federal Space Agency on the screw down stainless steel caseback. 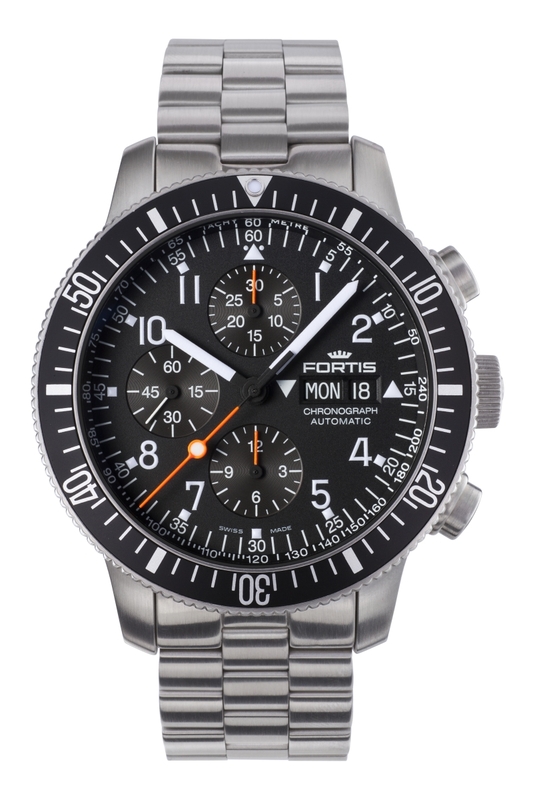 The three-hand Monolith features a large day/date window at 3 o’clock, while the chronograph model adds three well-placed totalizers for 30 minute, 12 hour, and 60 second intervals. To satisfy individual preferences, Monolith timepieces can be equipped with a luxurious black leather strap, a leather performance strap, a black PVD coated stainless steel bracelet, or a comfortable black caoutchouc strap. The Fortis Monolith comes packaged in a deluxe leather box and carries a two-year manufacturers warranty. 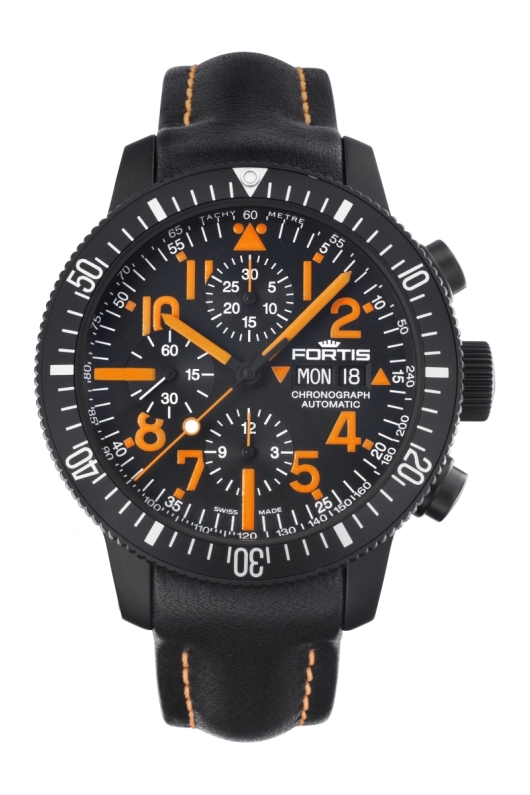 This exceptional timepiece is the culmination of everything Fortis has learned about timekeeping in open space. 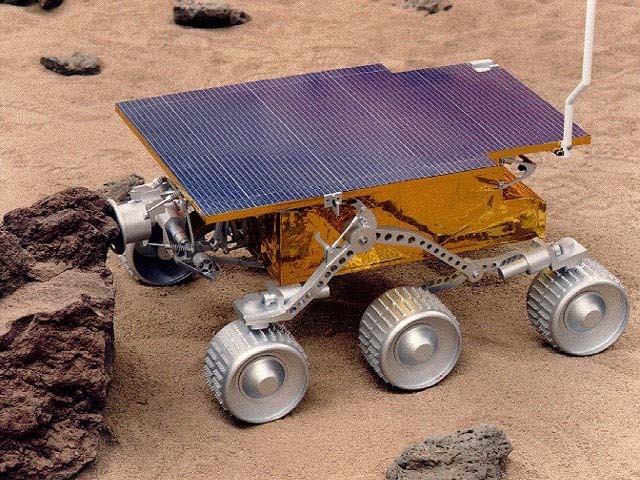 Amazingly, you don’t even have to be an astronaut to own one. 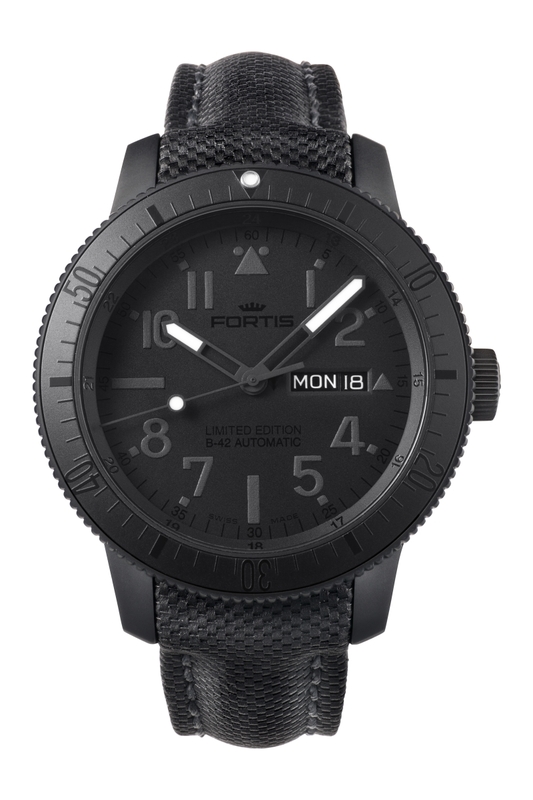 To put one of these space rated beauties on your wrist, just contact an authorized Fortis dealer immediately and ask to see the Monolith Collection. 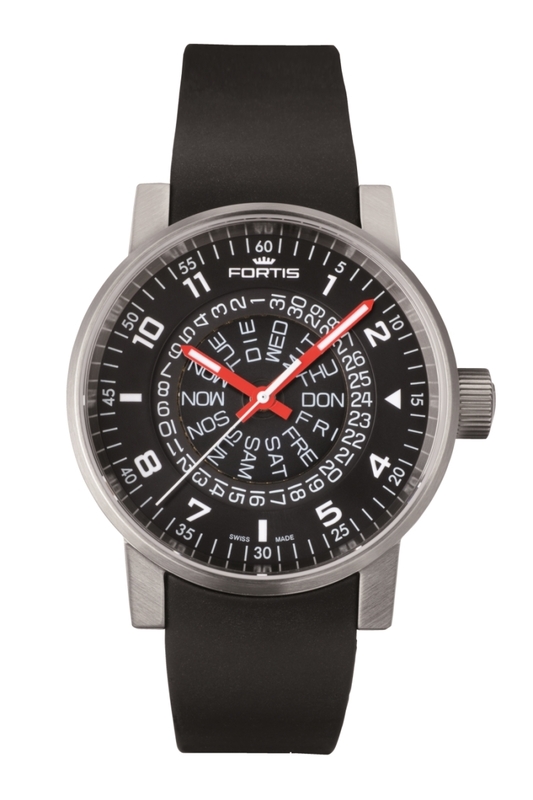 After 20 years in space and over 100,000 orbits around the earth, Fortis continues to set the standard for astronauts and cosmonauts. 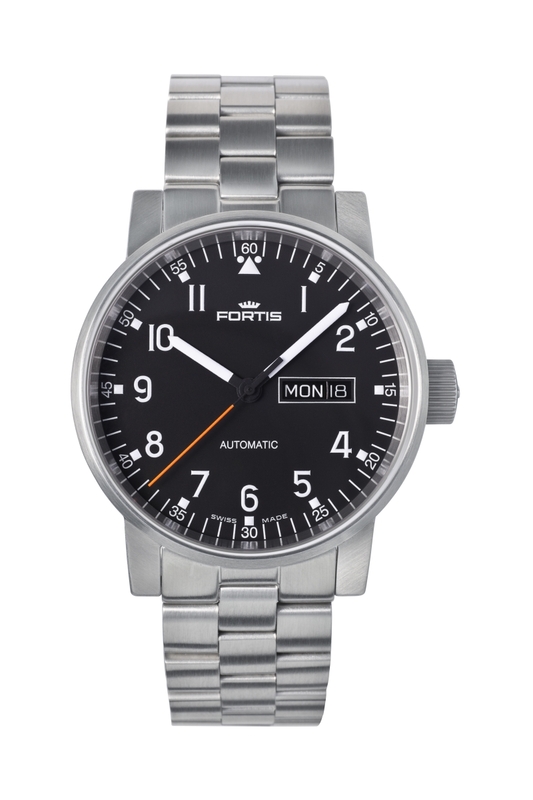 The timepieces in the Fortis Cosmonautis Collection share an impressive history. 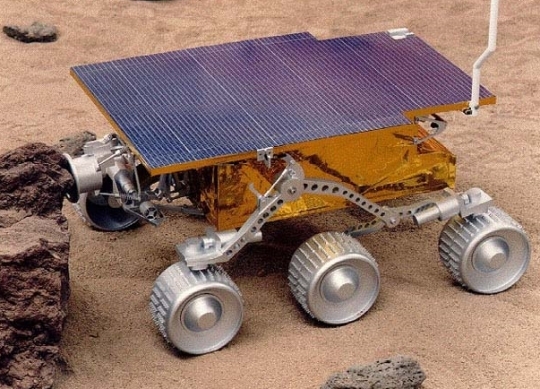 No other brand has spent as much time on the wrists of working astronauts and cosmonauts. These space proven timepieces have been standard equipment on space missions as far back as 1994 when a Fortis Stratoliner was worn aboard the Russian MIR space station. 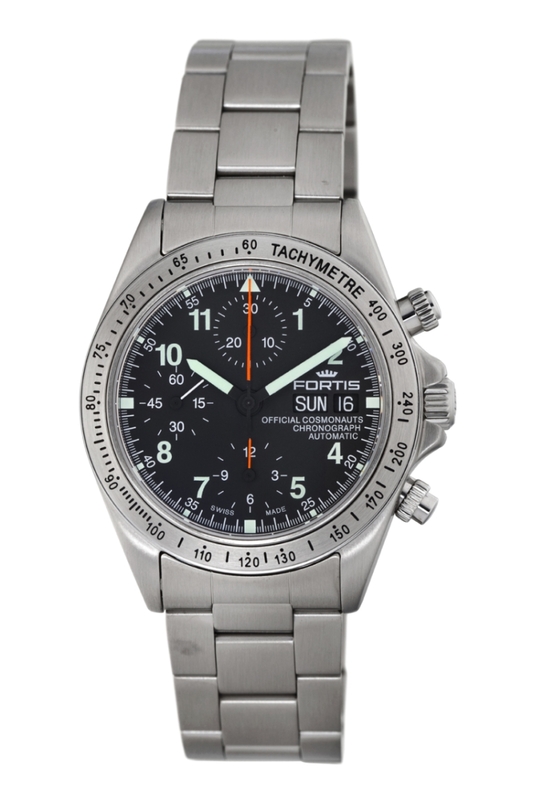 This initial venture into space was so successful that Fortis created the Official Cosmonauts Chronograph expressly to meet the needs of future space explorers. This iconic watch is still being worn today. 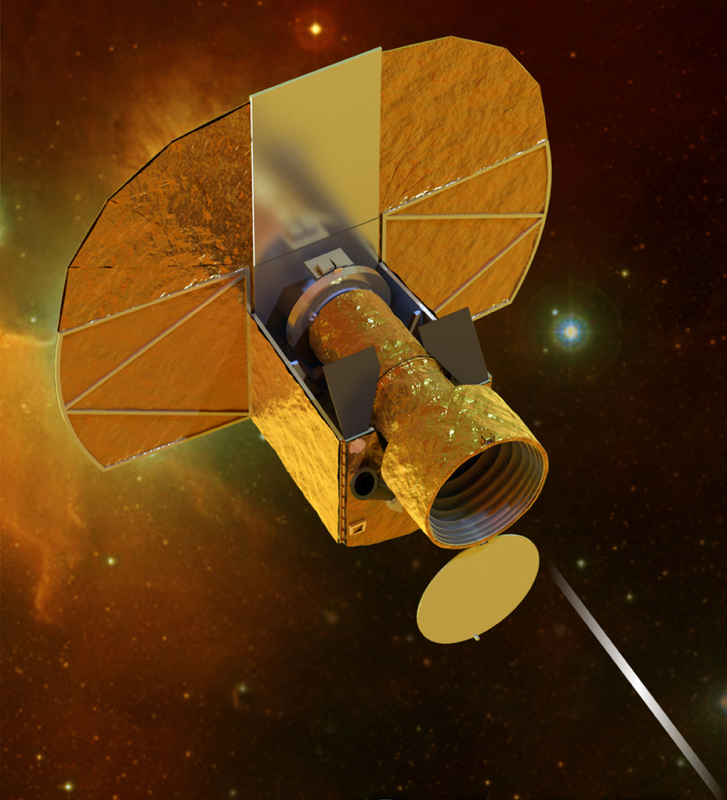 Fortis space watches were never intended as commemorative editions. They are real space rated tools for working astronauts. 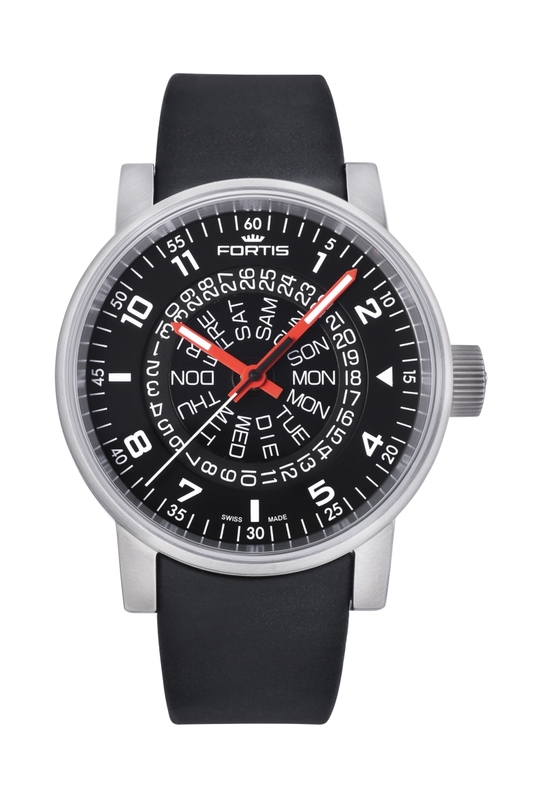 To this day, every timepiece that displays the “Yuri Gagarin Space Academy” logo on the back has been tested and cleared by Fortis for actual use in space. Astronauts and cosmonauts depend on these extremely accurate and dependable tools to complete their missions, and their long-term success under severe weightless conditions is a big reason why the Russian Space Agency continues to equip all cosmonauts and astronauts attending the Yuri Gagarin Cosmonaut Training Center with a space rated Fortis Official Cosmonauts Chronograph. This iconic timepiece has made its way to the International Space Station many times and is still standard equipment for many space station crew members. One of the best things about Fortis space rated timepieces is that you don’t have to be an astronaut to own one. 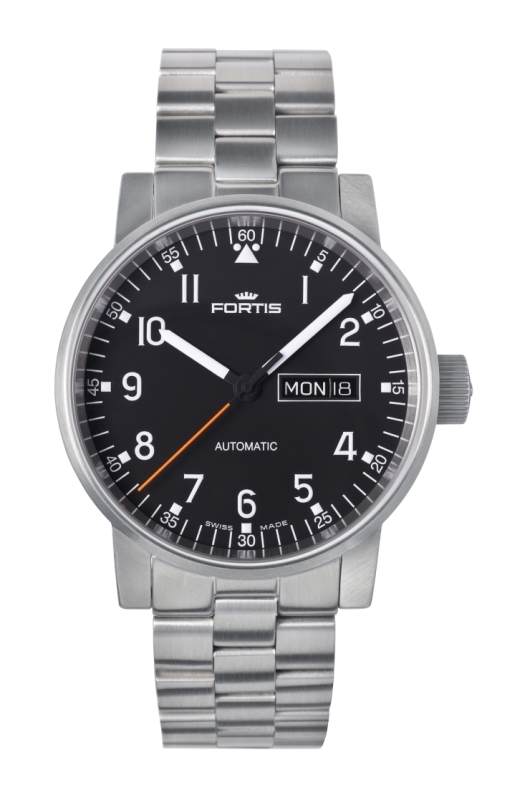 Fortis has always offered a limited number of these exclusive timing tools to the general public. 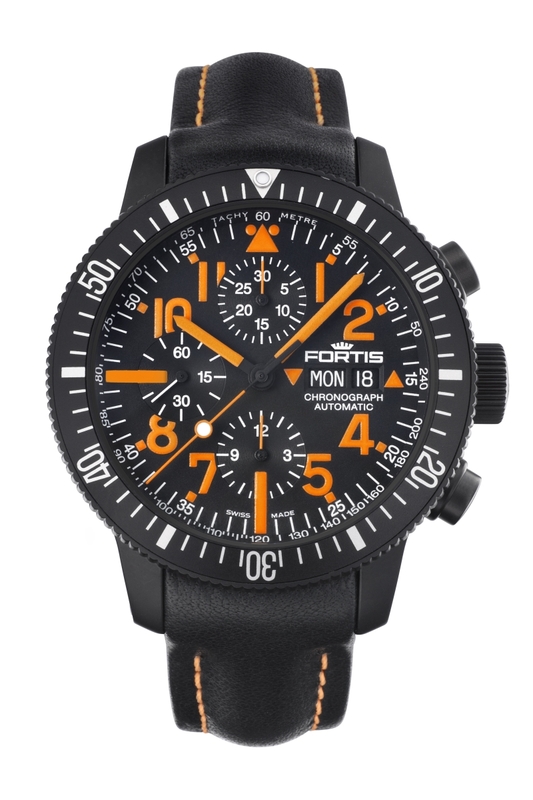 Today, the exciting Fortis Cosmonautis Collection represents the most comprehensive selection of genuine space watches on the planet. You can chose from iconic masterpieces like the famous Official Cosmonauts Chronograph or Spacematic, or select new space rated timepieces like the impressive Monolith. Most models in the Fortis Cosmonautis Collection are available in both three-hand and chronograph configurations to meet your personal needs. 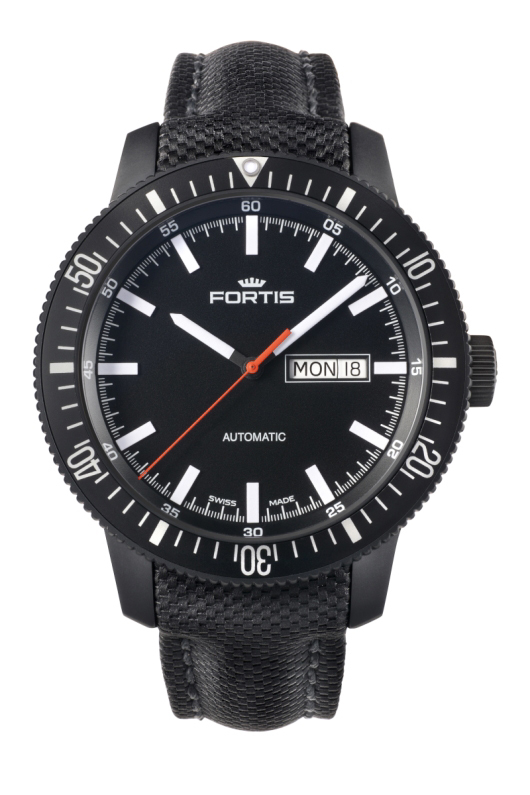 Depending on the model you select, your Cosmonautis timepiece can be equipped with a solid Fortis stainless steel bracelet, a luxurious leather band, or a comfortable silicon rubber strap. 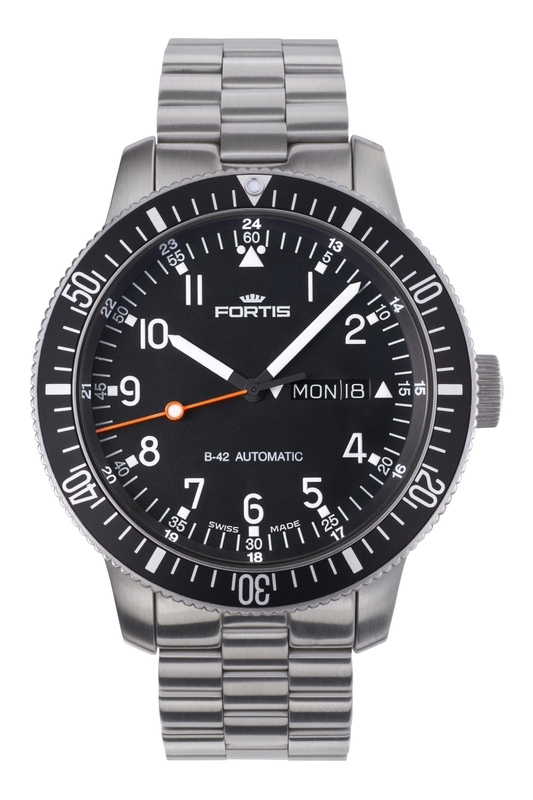 Many Cosmonautis watches are based on the popular and time-tested Fortis B-42 and all feature superb Swiss made automatic mechanical movements that carry a two-year manufacturers warranty. 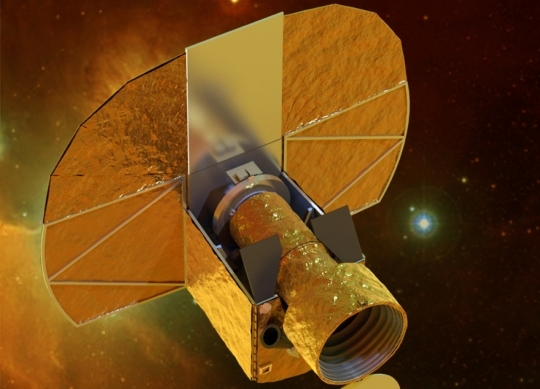 While these fine timepieces have been designed and tested to operate flawlessly in the airless environment of space, they are also water resistant up to 660 feet. Choose from any available Monolith, Official Cosmonaut, Spacematic, Mars 500, or Pitch Black model with confidence. 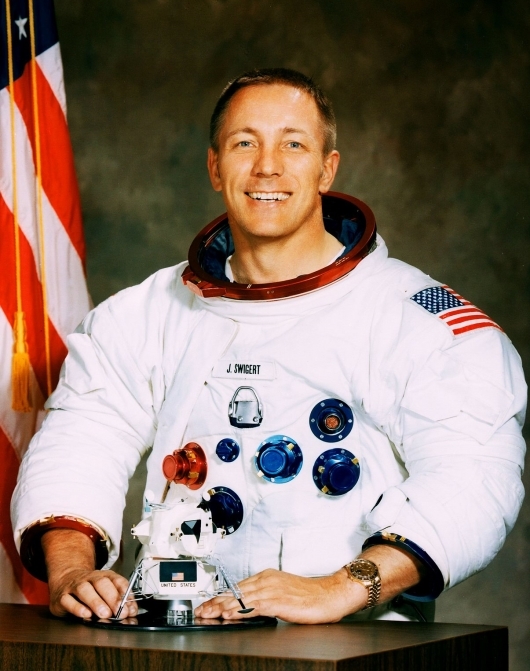 These are timepieces that working astronauts and cosmonauts wear proudly and all share a heritage that includes over fourteen space missions and 100,000 orbits around the earth. If you are an astronaut, you probably already have a Fortis Cosmonautis watch. 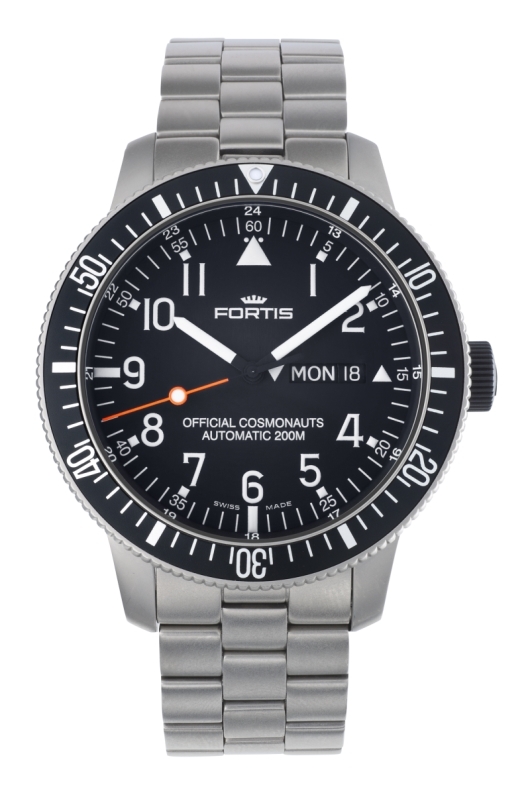 If you’d like to look like an astronaut or wear one of their working tools, just contact an authorized Fortis dealer and ask to see the real thing: a genuine space-rated Fortis Cosmonautis timepiece. When Harrison Ford needed a space proven timepiece for his role as Colonel Gaff in the science fiction thriller Ender’s Game, he picked a watch that has actually been there. 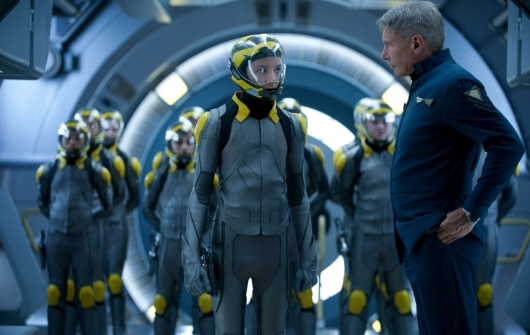 Ender’s Game, scheduled to be released in theaters throughout the United States on November 1, is the story of a young boy who has the future of the entire human race on his shoulders. When Earth is invaded by a race of aliens called the Formics, it is decided that the best hope for survival lies with child prodigies like Andrew “Ender” Wiggin who have been trained from an early age in an elite battle school orbiting the earth to command the earth’s international fleet in a desperate battle for survival. It’s Harrison Ford’s job, in his role as Colonel Gaff, to train the young Andrew Wiggen to master a series of increasingly difficult war games and fulfill his destiny as a military leader who will be the supreme commander in a war that will determine the future of Earth and the human race. Since much of the action in this exciting thriller takes place in a space station orbiting high above the earth, it was no surprise that Harrison Ford chose to wear a genuine space proven timepiece for his role as the tough, self-reliant teacher who trains the young Ender in the art of war. 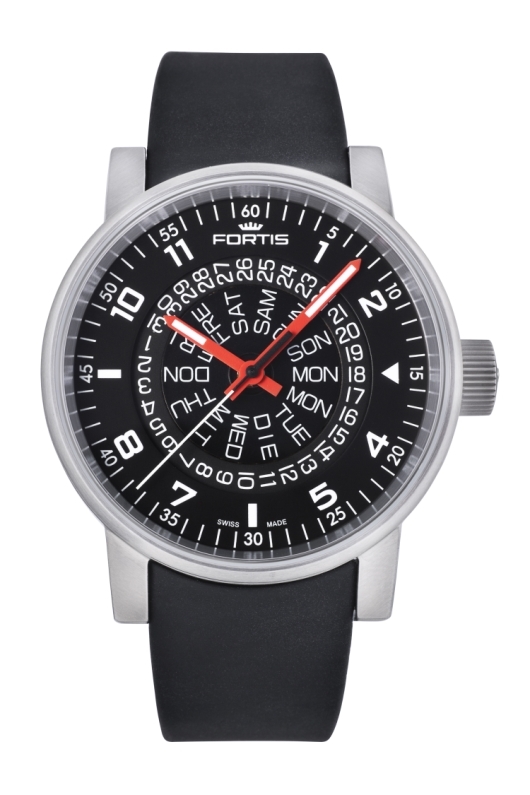 The watch you see on Ford’s wrist is the Fortis Official Cosmonauts Chronograph Watch. 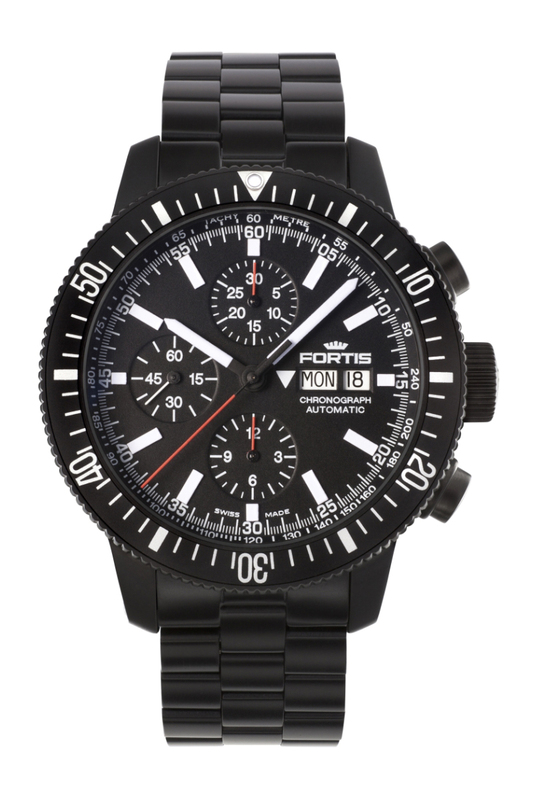 This legendary Fortis watch has been subjected to some of the most rigorous endurance tests ever conducted and has been officially certified by Fortis for manned space flight. 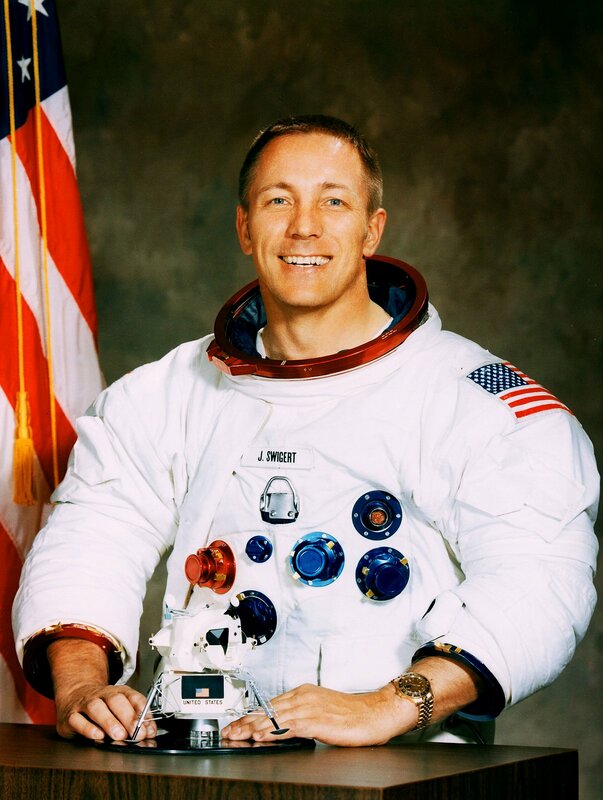 Dr. Ulf Merbold, a German physicist and astronaut, first wore the Official Cosmonauts Chronograph in deep space during the joint German/Russian Euromir space mission, and the watch continues to be a familiar sight on the ISS space station today. 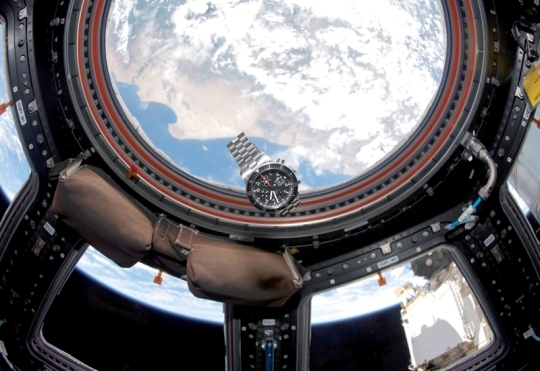 Fortis space-proven timepieces have already made over 98,000 orbits of the earth, and are well on their way to 100,000 orbits with Fortis watches on the wrists of the current International Space Station crew. 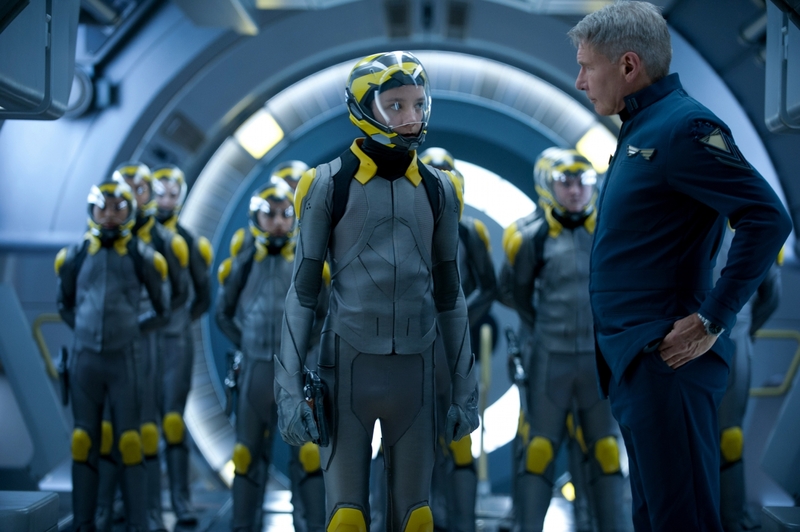 In a future world where people like Colonel Gaff are orbiting the earth in a sophisticated battle station designed to train young warriors like Andrew “Ender” Wiggin, it is likely that these space travelers will be wearing Fortis watches as well.